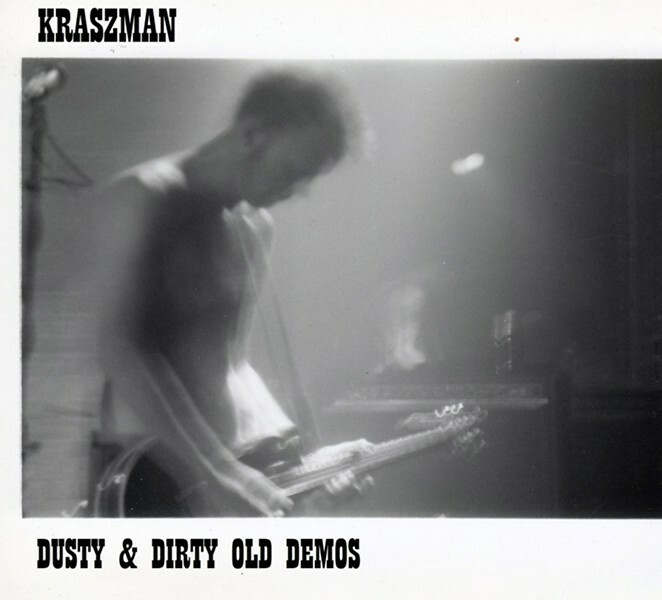 "Dusty & Dirty Old Demos"
Kraszman's new "Dusty & Dirty Old Demos" stars 21 salacious songs in various states of undress. It's Kraszman and his guitar all by their lonesome in the studio, and minimal spice from other instruments keeps this classified as a solo affair. The argument comes in when deciding which songs are finished and which are strictly demos. Songs like "Lonesome Writer" and "A Picture of You" are done, son, in all their naked minimalism and sonic sparsity. Now consider the source: Kraszman (Todd Krasz), known most recently for his work in the Johnny and June duo, Kraszman and Fish Wife, has played a ton of different styles in a ton of different bands, from metal to country. Black Eyed Rosie, Bee Eater, Clyde, and so on, all have Krasz's guitar — from the guttural to the majestic and the sweet — leading the charge alongside his basement-bustin' baritone. And while he travels down to the roots of whatever he's playing, it's when he's picking country that he shines brightest, as far as I see it. "Dusty & Dirty Old Demos" is a cool peek under the hood at a righteous rocker and how he works, where he's coming from, and where he's going to.